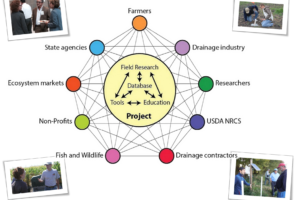 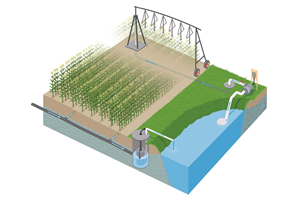 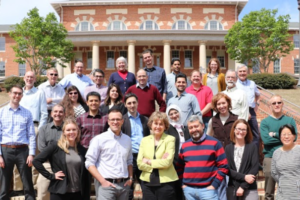 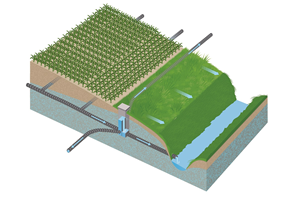 Our multistate project "Managing Water for Increased Resiliency of Drained Agricultural Landscapes", also known as "Transforming Drainage", is a collaborative effort aimed at addressing important drainage management questions through the assessment and development of new water storage practices and technologies. 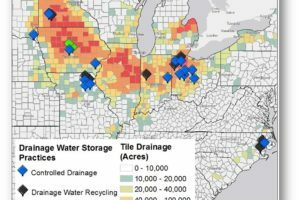 Increasing water storage on the landscape can provide greater water security for growing crops while supporting water quality efforts, which are of growing interest to landowners and the public. 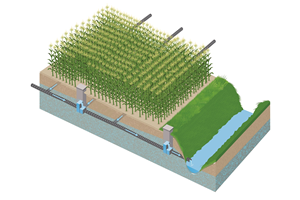 The vision for this project is that the process of designing and implementing agricultural drainage will be transformed so that storing water in the landscape will be considered for every drainage system as a foundation for resilient and productive agricultural systems.